William O'Shaughnessy, the father of modern medical marijuana. William O’Shaughnessy, the father of modern medical marijuana. There’s no better cannabis hero to transition from the ancient history of cannabis to the modern than William O’Shaughnessy, an Irish army surgeon who served in India and reintroduced cannabis to the British, and subsequently the western world. 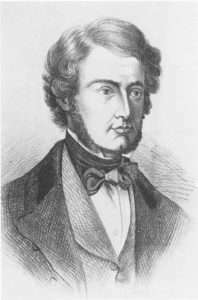 In fact the world of medicinal cannabis can be divided into two distinct historical periods, pre and post O’Shaughnessy, as his work opened the door to this medicine’s wide use in the west and began true scientific studies and clinical trials. Cannabis was far from O’Shaughnessy’s only contribution to western civilization. He also invented the modern treatment for cholera, laid the first telegraph system in Asia, and made significant contributions to pharmacology, chemistry, clinical drug trials, and science, although he remains most famous for his work with marijuana. 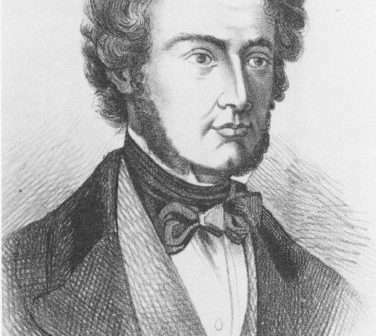 Although early historic literature and archeological artifacts referred to cannabis since the beginning of history, little was actually known about it therapeutic use before O’Shaughnessy read a 40 page research paper he prepared to a group of scholars and students of the Medical and Physical Society of Calcutta in 1839. O’Shaughnessy’s research included a review of the historical medical uses of cannabis by Ayurvedic and Persian physicians in India and the Middle East. He performed the first clinical trials on cannabis medicines, first on animals and later on his human patients. He presented case studies on patients suffering with rheumatism, hydrophobia, cholera, and tetanus, as well as a 40-day-old baby with convulsions, who responded well to cannabis therapy, leaving the infant convulsion free in only a few days. O’Shaughnessy first brought quantities of Cannabis and Hemp to the Royal Botanical Gardens at Kew and the British Pharmaceutical Society in 1841. Once news of his paper spread to England, cannabis quickly became the go-to medicine in Europe and America. The Victorians used marijuana, on its own and incorporated into a variety of proprietary medicines – most based on O’Shaughnessy’s recipes — for an array of maladies including rheumatism, convulsions, muscle spasms, epilepsy, and rabies. 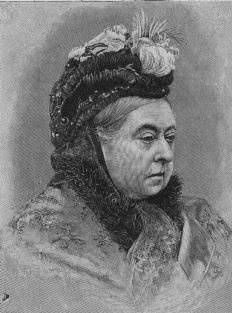 Queen Victoria reportedly used medical marijuana. Victorian women particularly benefitted from the plant, usually taken in the form of an alcohol based tincture, as it was used to promote uterine contractions in childbirth and was commonly prescribed for relief from menstrual cramps. While it’s been widely reported that Queen Victoria herself used cannabis tincture to treat her own painful menstrual cramps, there is no actual proof of this. However, the story is likely true as Sir Robert Russell, the Queen’s personal physician, wrote extensively about using cannabis for this purpose. O’Shaughnessy’s legacy lives on. In 1973 when Dr. Tod Mikuriya reprinted O’Shaughnessy’s original Calcutta paper as the lead article in Marijuana: Medical Papers 1839-1972, new interest in medical marijuana ignited and hundreds more articles and studies on the benefits of cannabis therapy followed and continue to this day. In 2007 the Society of Cannabis Clinicians produced an educational journal named in O’Shaughnessy’s honor for distribution to patients, caregivers, and concerned citizens that covered everything from the latest medical research to the campaign against prohibition. An online website continues that educational work and can be found at www.beyondthc.com.